How many times have you heard the simple yet powerful advice that the key to low golf scores is a good short game? While a great deal of emphasis is placed on our putters, our short game and wedge play factor into a great deal of how we perform day in and day out. 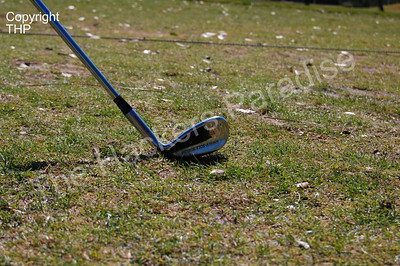 Gene Sarazen introduced the world to what is now known as the sand wedge in 1935 and is heralded as one of the greatest innovations in the history of the game. Since then there have been very few changes to a club that is considered by many to tried and true. In late 2002, Eidolon Golf was conceived on a stack of cocktail napkins in the Louisville, KY airport and a vision was born. Under the direction of Terry Koehler, drawing on his years of experience with the Ben Hogan Company, Eidolon and its dedicated team of designers focused on creating a product whose performance truly represented the companyâ€™s vision rather than focusing on landing lucrative endorsements deals on the worldâ€™s major tours. Koehler and Eidolon Golf set out to create the ultimate combination of technology, craftsmanship, and playability and the unveiling of V-Sole technology. While Eidolon Golf is committed to building the finest wedges in golf, their vision is based in educating the consumer and creating and combining a set of clubs that best fits their game ultimately lowering their scores and improving their game overall. This process includes analyzing the stock lofts of your clubs, degree, and yardage gaps in your set in order to determine what wedge loft combinations will suit you best. Along with determining the best combination of wedges, Eidolon developed â€œThe SCoR Methodâ€ as a comprehensive guide to maximizing your short game using simple yet effective drills. Selecting wedges can be a complicated and frustrating process. As dedicated players, we are well aware of the number of loft/bounce combinations that exist and how they impact our game. We are aware that a low bounce sole is perfect when facing tight or firm lies while a high bounce wedge is the better option when face softer turf conditions. Varying course conditions from course to course and within a course design itself only complicate our wedge selection. Unlike touring professionals, who have an arsenal of loft/bounce combinations readily available, varying course conditions only frustrate your average player. Eidolon has developed a solution to this common frustration with their patented V-Sole technology. V-Sole technology combines two distinct bounce angles in each wedge, so that you have just the right bounce in all playing conditions. This revolutionary design gives the main part of the sole a low bounce, addressing the tightest of lies while the leading Â¼” of the sole features a very aggressive bounce to ensure that same Eidolon V-Sole wedge will function perfectly from bunkers, rough and other shots where a high bounce is desirable. V-Sole technology takes the complication out of the process and places a quality and versatile product in your hands. Eidolon Golf employs a number of technologies that help separate their product from the rest of the pack. Eidolon is dedicated to creating some of the finest wedges in the game and has developed manufacturing processes that help make their vision a reality. This starts with unmatched spin, produced through a precise CNC milled face. Taking this technology one step further, Eidolon CNC mills each individual groove maximizing spin and pushing the wedges playing characteristics to edge of USGA legal limits. Eidolon has even addressed shaft technology and has eliminated the use of the generic â€œwedgeâ€ flex, which can often be considerably stiffer than the flex commonly used in playerâ€™s irons. Eidolon offers the acclaimed Rifle Spinner and their own proprietary SCoR graphite shaft available in regular and firm flexes. Eidolon believes that this choice gives you a set of wedges built to provide seamless consistency from your short irons to your wedges. Like putters, wedges are such personal clubs. Finding the right one can take a lot of time, patience, and money. With most golfers carrying at least two additional wedges to a PW right now it is an investment that is high and very important. When I got the chance to sit down and speak with the people behind Eidolon Wedges, it made me want them even more. About 5 days after our initial conversation a box arrived containing some wedges for review. I must admit at first glance I was a little skeptical. They have a thicker topline than I am used to and the V-Sole had me a little worried. I just was unsure how they would perform. We gathered up 6 people and headed off to the range for some initial short game testing. All six of us warmed up and then headed over to the practice green and got in the bunker. One by one we each hit 5 balls out of the sand trap and each person marveled at just how nice the ball comes out. It was like cheating remarked one of the reviewers. 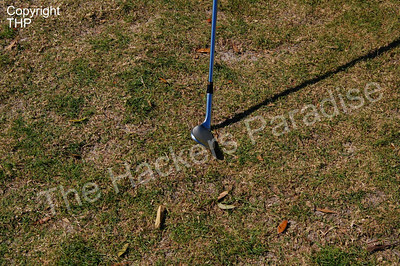 Next we worked on chipping and following the advice in THP TV – Volume One we each chipped and also had no problems. Trouble from the thick rough? Not at all. The sole flies right through and the ball lands softly. We then moved over to “Flopshots” over the bunker on a short sided green. 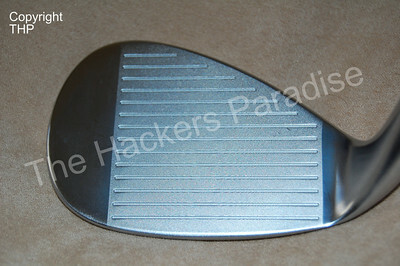 The 1st five golfers hit and loved the way the club opened up eliminating any “bounce” that would get in the way. I, however, struggled with the flopshot with this wedge and was catching each shot rather thin. 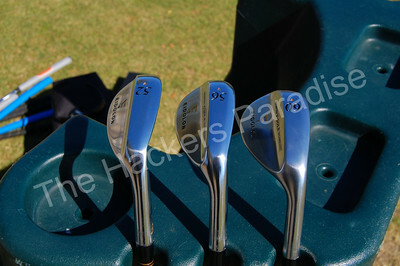 Over the next few days I played with these wedges on the course. My fear of the flopshot quickly went away when I had to execute one on the first hole. I had no problems after that. The V-Sole works like a charm and as described. It makes it so that you can play your clubs from any lie. Another thing I want to touch on in this review is spin. These wedges spin far more than any wedges I have used to date. Where I play the greens are rock hard and being able to stop a shot is sometimes just not an option. But after about the 3rd hole on day one, I realized that with the Eidolon wedges, stopping the ball is not really a concern. Everything stops! 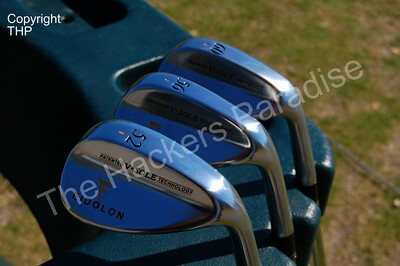 Overall, the Eidolon wedges pretty much blew our minds. It is rare that a company delivers on every single claim they make about their clubs. Back that up with the fact that the company has great customer service and really gives you an education, not just on their clubs, but wedges in general and you have a pretty good thing going on. With the MSRP being $129.00, they are not the cheapest option out there, but the quality, craftsmanship, and performance make you forget about any prices whatsoever. For tons more information about Eidolon products and wedges in general head over to their website at Eidolon Golf. You will be happy you did. I have never heard of them before but after reading this I want to learn even more. The concept behind it is great and I want to hit them. All I can say is Wow. Another company that I had not heard of that THP found for me. This looks intriguing. Great read. Its starts as a profile and then gets to the meat and potatos on hitting them. Love your reviews. Only site that gives real world testing that i have found. THank you. I was so happy to see that they made the wedges for ladies as well. Never heard of Eidolon before but after reading this review, I am going to become acquainted really soon. Their site does have a ton of info. I found out about Eidolon wedges about a year ago, and now I’m at a point where I need new wedges, and these were on my short list. Thanks for the great review JB, and thanks to Eidolon for sending these out to be reviewed! As someone who plays a great deal of tournament golf, this is the exact product I have been looking for. To often I’ll go from a firm and tight course one weekend to a soft course. I simply cannot afford two sets of wedges. This is perfect for the public course player who sees a number of different courses during the season. Never heard of them, but now I’m going to have to buy one! Great review THP>!!!!!!! Great review – my course has very soft conditions at the front of every green and varies as you move around them, V-Sole sounds like a good option. Nnow going to have to get my hands on one to try! I have 3 of these wedges and I love them..they stop on a dime..One of the courses i play in NY is rock hard and i have no problem getting the ball to stop..On the nicer course I spin the hell out of the ball..One thing tho, i have literally ripped a few covers off the balls..They can really cut into some of the better balls out there. (callaway x and Bridgestone 330).. This is the first ive heard of Eidolon. I might have to pick one up. They make a nice product, don’t be fooled to think that they are the only company with this sole design though. Cleveland calls it a dynamic grind, infinity has a set up similar, the list goes on. I tried their products based off of an infomerchial years ago, too harsh for my tastes at that time, but I can not speak to these guys. One thing that has been mentioned, the CNC milling process, WILL bite a ball up a little, again not new technology. SMT, Titleist, even smaller companies have been doing it a long time. Overall they are on my list to try out, I have to replace my wedge set either this year or next, depending on how they behave and if I like the new Purefit head I have yet to assemble. Don’t be affraid to try them, nice products, little pricey, but good quality. The grind that Eidolon has is different than Cleveland’s Dynamic Grind and others. We have used these wedges for over a month now and they bite up the balls far less than last years Vokeys did based on side by side comparisons. I’ve tried several wedges, Taylor made RAC, Ping, and Vokeys, and for a mid handicapper like me, I dearly love me Eidolons. I played with a 56 degree SW last year, and liked it so much I bought 3 more and one for my fiancee. I don’t get the snap and spin I once did with most clubs, but I do with these. It takes a bit of getting used to, I have to be more aggressive with my pitch shots because these simply stick where you land them. I think the dual bouce angles help with my chipping as well. 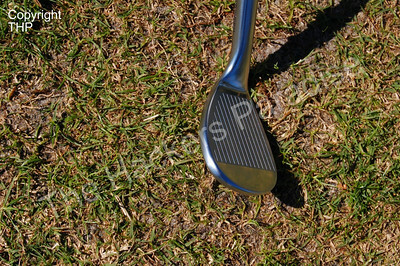 Little flop chips come off the club super soft, and running chips hold a little before release, making them easier to control. I mistated what I was getting at here. I was attempting to say that the concept of a dynamic sole grind is nothing new, each has their own. The same applies to cnc milling. Sorry to confuse anybody with my comment. I bought them and love them. I am especially please with the confidence they have given me on the 50 to 70 yard shot into the green. Far to many times I have ripped a drive long down the middle to that range frome the green. Then pulled out my 60 (Cleveland / Tiltleist I have them all) just to end up chunking the shot short then making 5. “Nice drive is five” It was tearing me up inside. Later I would skull it and it was a real shot to my confidence level. Was terrified of this shot. Along came these new edges and I fear no more. Unbelievable what you can do when you know you’re not going to chunk it. What used to be a fat short shot now is a shot that goes a little to far maybe 15 to 20 feet past the hole. I can live with that. But now with the confidence they have given me I am hitting close often. The 52 and 56 are also great. 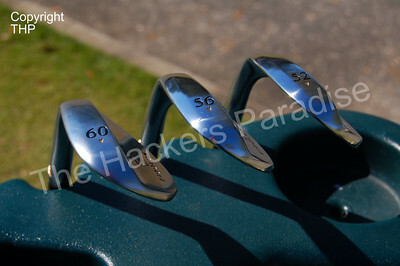 I have used these wedges for a couple of years now..they are fantastic..a couple of courses i play on have hard greens and these things stop the ball on a dime..and on the softer greens you get a nice little backspin..they are good from all spots on the course..one thing i really love is their customer service..I have talked to the owner(terry) a few times..each time we’ve talked its been a 5-10 minute conversation..he loves to talk golf..i never got the feeling like i was bothering him or he was trying to get off the phone..these guys will do anything you want..i have the 48-56-60 degree set..and they bent the 48 to a 50 for me with no problem..my next set i’m having shipped without grips and again no problem..these guys will do anything you ask..i’m purchasing my 2nd set of wedges from them this week..they came out with a new finish for their wedges and i figured i would give them a shot..its sort of a light bronze finish..they call it their “prime set”..give these wedges a shot..you will love them.. Picked up a 48 degree eidolon in the oil can finish and am very very impressed. 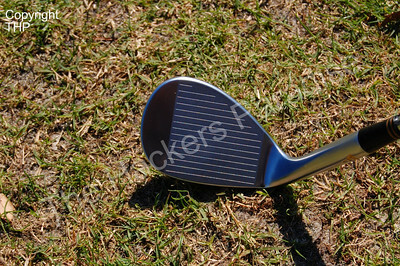 The quality of the club is apparent from the custom cord grip to the milling marks on the face. This is an absolutely beautiful club that works spectaculalry – i couldnt be happier.